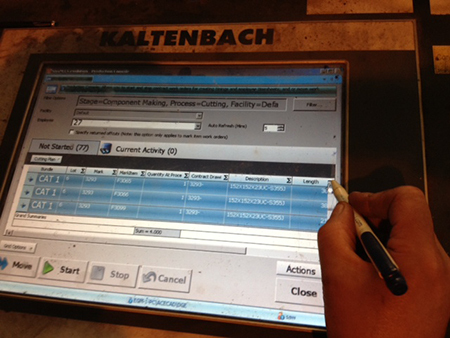 STRUMIS Management Information System software program is the global leading MIS system for steel fabricators. With numerous blue chip steel fabricators of all sizes utilising STRUMIS in their businesses; providing them significant cost and time saving benefits across all departments. D&G Engineering, formerly known as EGM Engineering, based in Selby, North Yorkshire have been supplying fabricated steelwork to blue chip fabricators across the UK for over 15 years. The attention to detail, supreme workmanship quality and competitive price has allowed the company to flourish from humble beginnings to one of the most respective sub-contract steel fabricators in the UK. From their site in North Yorkshire, Mr Darren Walker comments about the technology "It was imperative we investigated all options regarding CNC machinery to streamline our production workflow. Once the CNC machinery was selected and fully operational, we implemented STRUMIS software for steel fabricators which acts as a platform for project management." STRUMIS can import CAD detail such as Tekla, StruCad, Advance steel bill of materials, also fabrication drawings and NC/DSTV files which are managed inside the STRUMIS system to assist with nesting material, issuing to works in production bundles and very importantly....tracking of parts and assemblies from material receipt, to driving the CNC machines to the workshop and finally to despatch and invoicing in STRUMIS, and perhaps most importantly, at this time, full traceability for CE Marking. Complete management of your project in one system! 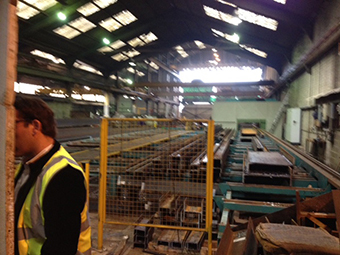 Some of the larger steel fabricators in the UK turn to D&G Engineering when at full capacity or on short lead times. These clients include: William Hare Group, Billington Structures, Severfield Reeve, Adey Steel and many more. The projects which have been completed by D&G Engineering are mainly UK based but have also provided part project fabricated steel as far away as Canada! Darren continues...."it was so important we chose the right software solution to manage our business. With STRUMIS we could see a software program which undertakes continual development and is almost unrecognisable from the first time we used the program. STRUMIS has helped us grow as a business and provides improved productivity and ultimately profitability and could recommend it to anybody looking to improve business performance”.